Peel and finely chop garlic. Wash spinach, dry, and coarsely chop. Remove skin from salmon and cut into small pieces. Cook tagliatelle in salted water until al dente according to package instructions, then drain. 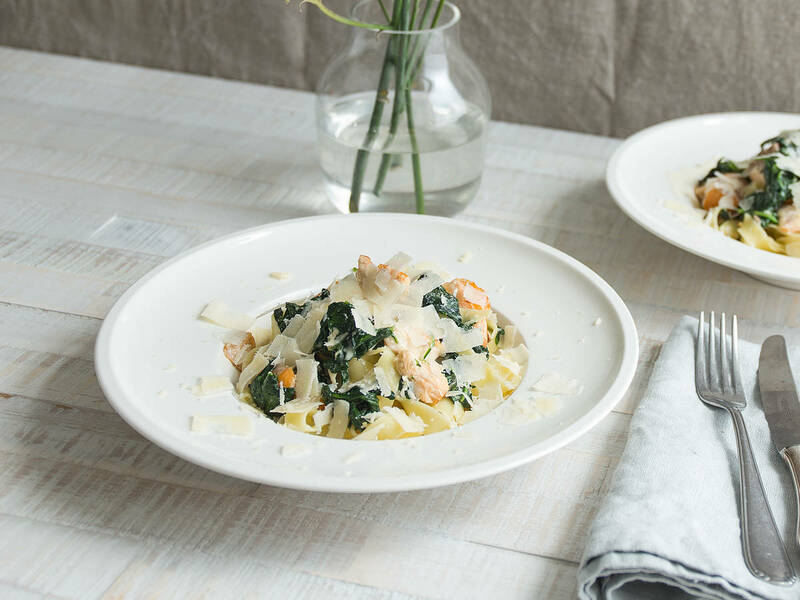 Add salmon, lemon zest, and tagliatelle to the pan and cook for approx 3 – 4 min. Season with salt, pepper, and lemon juice to taste and serve with Parmesan. Enjoy!